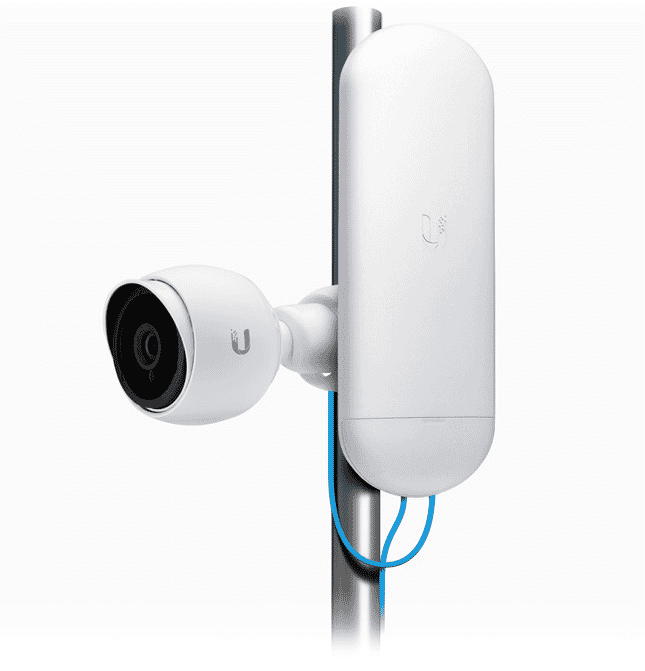 The Ubiquiti NS-5AC is a 5GHz wireless bridging device that features a powerful built-in 16dbi antenna for connectivity up to 15km and proprietary ac technology for speeds up to 450Mbps. The NS-5AC are ideal for point to point (PtP) and point to multi-point (PtMP) installations where a fast reliable connection is required such as remote CCTV or building to building networks. The NS-5AC is ideal for remote deployment of IP network CCTV cameras thanks to it's innovative PoE pass through that passes the power and data connection through the CPE to the camera. This removes the need to fit multiple cables, switches and additional power supplies making deployments easier and more cost effective. The Nanostation Loco AC also features a separate built-in management WiFi system that allows you to connect directly for easy app based setup making deployment quicker and easier than ever. 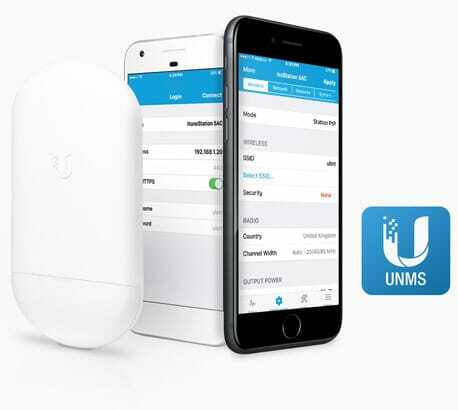 Why buy the Ubiquiti airMAX NS-5AC NanoStation 5AC Wireless Bridge from Connectec?